Whoever thought that Jane Lynch would not do a good job as host of the 63rd annual Primetime Emmy Awards, must have been crazy! Lynch was fantastic, right from the word go. The opening sequence was innovative, funny, and most importantly, so special, because it brought together all those elements from TV shows that create the ‘magic of television’, making the medium such a ‘vast wonderland’. Following that, MODERN FAMILY stole the first thirty minutes of the show, with four Emmys in the Comedy categories, for Julie Bowen and Ty Burrell (Supporting Actress and Actor), along with Emmys for Directing and Writing. Lynch even went on to say, “And this just turned into the MODERN FAMILY awards!” That was absolutely hilarious! Charlie Sheen presented Lead Actor Comedy, calling it his ‘old category’. He did a fantastic job out there, holding his head high, yet subtly snubbing TWO AND A HALF MEN, saying, “From the bottom of my heart, I wish TWO AND A HALF MEN nothing but the best for this TV season!” Moving on, Jim Parsons took away that category, with his second well-deserved win for THE BIG BANG THEORY. And then there were Rob Lowe and Sofia Vergara presenting Lead Actress Comedy as though they were announcing the runners up at a beauty pageant. Seeing the funny ladies up there was lovely, and the act was dropped suddenly, as Melissa McCarthy was announced as the winner in that category. In drama, while Margo Martindale and Peter Dinklage won in the supporting acting categories for their roles in JUSTIFIED and GAME OF THRONES, respectively, it came as no surprise that Martin Scorsese won Outstanding Directing for BOARDWALK EMPIRE. That was followed by Julianna Margulies’ second win for her role in THE GOOD WIFE. And the race for Outstanding Series Drama heated up, when FRIDAY NIGHT LIGHTS won the Emmy for Writing in a Drama Series, and one for Kyle Chandler in the Lead Actor Drama category. However, MAD MEN took away the Emmy for Outstanding Series Drama for the fourth consecutive time, ending the suspense. And that was followed by the big win of the night—MODERN FAMILY winning Outstanding Series Comedy for the second consecutive time, aptly concluding the show on a very high note. 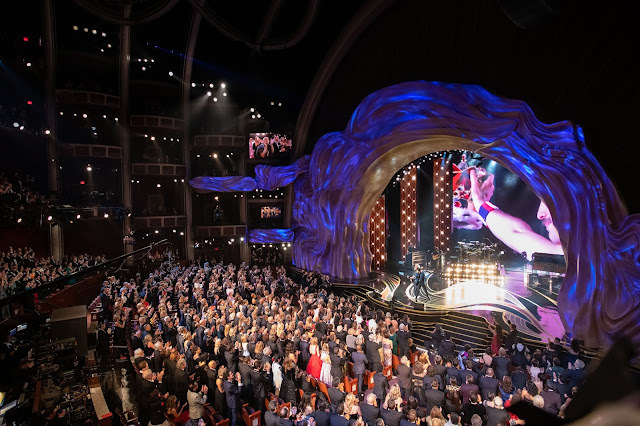 The innovative presentation of awards, and videos of nominees, presenters, host, players in categories, made for some exciting recall of all those moments that makes television magical. Adding value to that were the in-set appearances in the videos and the montages that even honored the shows that weren’t nominated. The ‘Emmy Tones’ singing team to introduce the genres, including Zachary Levi (CHUCK), Cobie Smulders (HOW I MET YOUR MOTHER) and Joel McHale (COMMUNITY), was entertaining. And I thought that the abundance of backstage shots, as a part of the telecast, made the awards experience a lot more wholesome. Another plus point for the show was that the presenters had adequate material to keep their work fresh and exciting. And with that, I can safely say that the Emmys 2011 were nowhere close to being a disappointment. It was a great show, with a lot to write home about! What did you think of the Emmys 2011, the show, the winners, the presentation and all? Share your views here and comment below. How is it that only lesbian women are so funny? Jane, Ellen and Rosie! Also did Kate win for Mildred Pierce? That's showing (or will be shown) on HBO soon. This article is too much importent for those people who interested in Primetime Emmy Awards.After reading your content i know much more thing about 70th Primetime Emmy Awards 2018.I hope 70th primetime emmy awards 2018resut will be exciting.Thanks for your information.